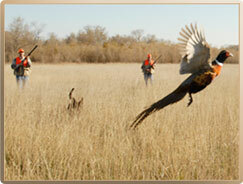 Pierre, South Dakota is home to the best pheasant hunting in North America. 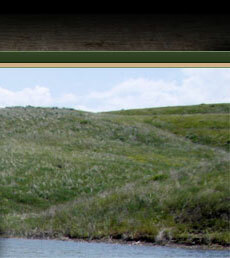 With an abundance of habitat and a commitment to conservation, your pheasant hunting experience in South Dakota will long be remembered as one of your richest and most successful hunting experiences ever. The secret to great hunting is great habitat, a knowledgeable and experienced hunting guide and champion retrieving dogs. At Major League Adventures, I personally manage every detail to ensure your hunting experience is everything you’d expect from a professional, guided hunt. Our retrieving dogs, both Labs & Springer Spaniels are athletes in their own right. I take pride in their training, agility, endurance and performance in the Field. 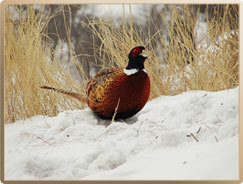 The hunting season can present optimum weather conditions or challenging ones. Because I have access to several leased properties and numerous locations, inclement weather conditions are not a deterrent to the ultimate outdoor hunting experience. With over 30 years experience guiding and managing professional pheasant hunts, my promise to you is your time pheasant hunting with me will be an experience of a life-time, and one you will remember for a life-time. 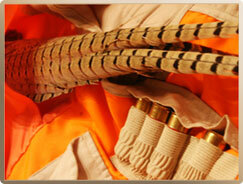 We will begin accepting pheasant hunting reservations in May. Make sure to book early as you know prime dates go quickly.